1. James Lewis Reynolds b 26 Dec 1939 Ermine, KY; m. 19 Aug 1960 to Wanda Deane Rodgers b 19 Feb 1940 Louisville, KY d 19 May 2016; d/o Clel Birton Rodgers and Lucille Long. 2. Mahala Ann Reynolds b 22 Feb 1945; m. 21 Aug 1965 to James Wiley Craft b 13 Jun 1945 KY; s/o Commodore Craft and Gertrude Hunsucker. Mahala Ann Reynolds m. (2) to Sonny Frazier; s/o Glenn Frazier and Lonnie Gibson. The marriage of Miss Irene Lewis and Mr. Joe Reynolds was solemnized at the home of Rev. G. B. Adams the officiating minister of Mayking (Kentucky) on June 11th, in the presence of only the members of the immediate families. The bride is the attractive grand-daughter of Mr. and Mrs. I. N. Lewis. She was educated and graduated from the Junior Home, Tiffin, Ohio. For the past year she has had charge of the Kindergarden work in the Whitesburg School System. Mr. Reynolds is the son of Mr. William Reynolds of Ermine. He holds a position with the Jackson Furniture Company of Neon Junction. Mr. and Mrs. Reynolds will make their home in Neon, where Mrs. Reynolds will teach this fall. Long Time Letcher Businessman Joe C. Reynolds, Sr. Succumbs (1994 in Review - From September 14, 1994 Issue of Letcher County Community News Press Cromona, Kentucky) 28 December 1994: Long time Letcher County businessman, Joe C. Reynolds, Sr., age 85 died at his home on Sandlick Road near Whitesburg on Saturday, September 10, 1994. Reynolds first began his career in the furniture business in the 1930's at Jackson House in Neon. He opened Reynolds furniture in Neon after World War II and continued to operate that store until 1974. Reynolds Furniture is presently located in Whitesburg. A veteran of World War II, he was a member of the honor guard at the funeral of President Franklin D. Roosevelt. 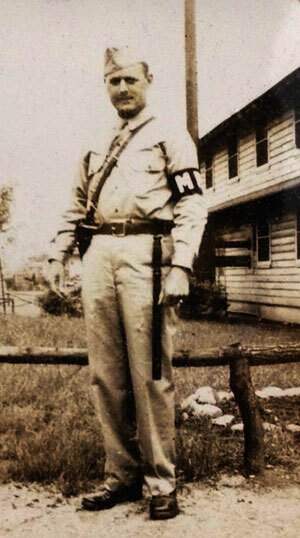 He was also an active member of the Republican Party and served as Sargent-at-arms at the 1960 Republican Convention. 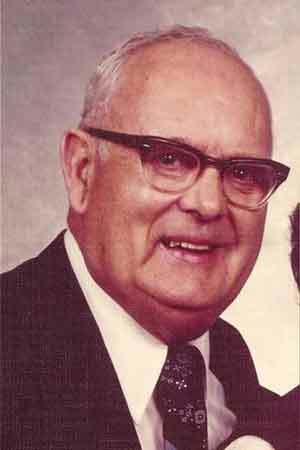 He leaves his wife, Stella Irene, sons; James Lewis and Joe C., Jr. and daughter, Mahala Reynolds Craft; eight grandchildren; two great-grandchildren; brother, James E.; and sisters Cora Frazier and Sillar Polly. Funeral services for Joe C. Reynolds, Sr. were conducted on Tuesday from the Thornton Union Regular Baptist Church. WHITESBURG (Letcher County, Kentucky) Stella Irene Lewis Reynolds, 91, Letcher County teacher and co-founder of Reynolds Furniture Company died Sun., Mar. 19, 2006. Born on Sandlick Creek July 7, 1914, she was the widow of Joe Coleman Reynolds and the daughter of Willie Franklin and Ada Dixon Lewis. Mr. and Mrs. Reynolds opened Reynolds Furniture in 1946 in Neon, KY and the Whitesburg store in 1957. Their store closed in 2005. Mrs. Reynolds attended elementary and high school at the Junior Order Orphanage in Tiffin, OH. She was placed there, along with her brothers and sisters, after the death of her father during a typhoid epidemic in 1923. She graduated from the Junior Order High School and attended Berea, Lees and Georgetown Colleges. She was a kindergarten teacher under the W.P.A. program and taught at the Hemphill, Sergent and Marlowe Grade Schools in Letcher County. She also taught in Rockcastle County. 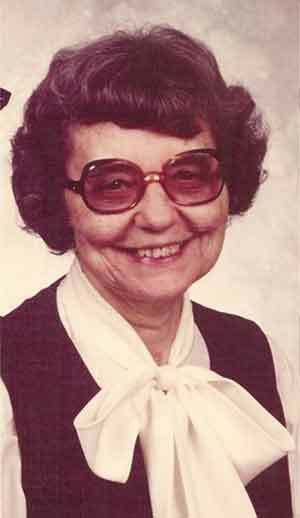 Mrs. Reynolds was a member of First Baptist Church, Whitesburg, where she served as a Sunday School teacher and a member of the Women's Missionary Union. She was a member of the Pine Mountain Chapter of the Daughter's of the American Revolution, Sandlick Bible Club and the Sandlick Homemakers. She was an active member of the Republican Party. In 1988, Mrs. Reynolds was diagnosed with Azheimer's Disease. She participated in a research program at Jewish Hospital in Cincinnati, OH. Irene Reynolds is survived by 2 sons, James Lewis Reynolds (Wanda) of Winter Park, FL, Joe Coleman Reynolds, Jr. of Ermine, KY, 1 daughter, Mahala Reynolds Frazier (Sonny) of Whitesburg, KY, 8 grandchildren and 9 great-grandchildren. Also surviving are a brother, Quentin H. Lewis of Bristol, VA and 2 sister, Evaleen Lewis Towery of Crockett, TX and Willa Lewis Mullins of Guilford, IN. She was preceded in death by her husband Joe and a brother Edwin R. Lewis of Jackson, MI. Visitation 2 - 9 pm, Tues., Mar. 21 at Letcher Funeral Home. Funeral services will be held at First Baptist Church, Whitesburg, Wed., 1 pm with burial following in the Hall Cemetery at Ermine, KY. In lieu of flowers, contributions are suggested to First Baptist Church or the Alzheimer's Association. Joe Coleman Reynolds was a merchant and furniture store owner, a US Army WWII Veteran and guard at the White House under the Roosevelt administration. Stella Irene Lewis Reynolds was a school teacher, a merchant, a member of the Pine Mountain Chapter of the DAR, an active member of the Republican party, a member of the First Baptist Church, Whitesburg, KY where she served as Sunday school teacher. She was a member of the Women's Missionary Union, Sandlick Bible Club and the Sandlick Homemakers.